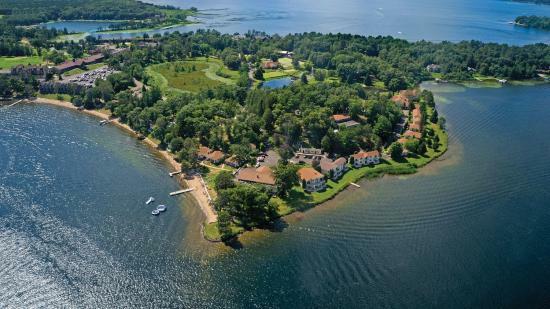 Sprawling across 1,500 acres on Gull Lake’s Pine Beach Peninsula, Madden’s offers one of Minnesota’s most old-fashioned resort experiences, and is an all-inclusive resort. Expect typical Brainerd Lakes’ area amenities — fishing, boating, swimming beaches and great water toys, along with some of Minnesota’s most lauded golfing and a lengthy list of recreational activities from newer paddleboarding to lawn games that evoke an era when families had a full week or more to kick back and relax at the lake. For harried modern families, meal, lodging and recreation packages add to this resort’s appeal. 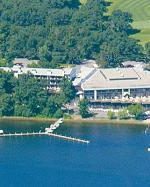 Madden’s has been around since 1929, making it one of Minnesota’s oldest resorts as well as one of the largest on Brainerd’s Gull Lake — the epicenter of “Up North” vacations. The “Social Season” (peak family season) runs from late June through mid-August, when the lake buzzes with shrieks, laughter, the hum of boat motors and the plunk of bobbers hitting the water. 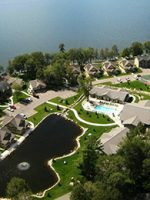 Lawn bowling, tennis, badminton and horseshoes, plus the historic lodging and an all-inclusive feel have led some guests to say it reminds them of classic mid-century resorts such as the one in the movie, “Dirty Dancing.” This place is pure Minnesota, though. Walleye and wild rice works its way onto several menus. There are daily lessons in fishing and water-skiing. Loons offer sunset serenades, and the legend of Paul Bunyan looms large throughout the area. The size and variety of Madden’s lodging, plus the breadth of activities, make it especially popular for large family gatherings. 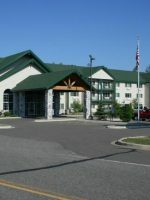 Madden’s offers more than 280 rooms throughout the property, which is open spring through fall. Lodging choices encompass historic hotel rooms, more modern hotel rooms, vintage cabins at the water’s edge, townhomes, luxury suites and two reunion homes that can sleep 12 to 20 people. 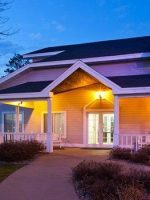 Madden’s isn’t the area’s most affordable place to stay, but it’s a solid choice for families who don’t want to cook meals, adore golfing, can take advantage of kids’ programming (built-in babysitting), or seek an annual or biennial summer escape that holds kids’ interest as they grow older. Unless you have weeks of vacation, at Madden’s, you’ll run out of time before you run out of things to do. 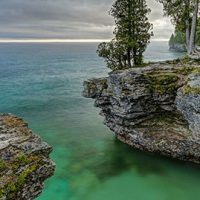 Choices of lodging vary, so it's best to talk with a reservation specialist who knows the ins and outs of each location on the sprawling property. Two- or three-day stays may be required on peak weekends. A popular option for families is the 24 Sunrise Villas, which sit above Steamboat Bay with views of the sunrise. It's an easy stroll to both a beach and marina, as well as to the Madden's Inn pool. There are 40 newer villas built in 1998, but these golf villas overlook the Pine Beach Golf Course rather than the water. Voyageur's 40 hotel units look dated on the outside but have been updated inside and have the caveat of facing Wilson Bay where you'll enjoy viewing the nightly sunsets. They're also close to Spalon Montage as well as a pool (close to Wilson Bay cabins and the outdoor cooking area), beach and dock in front of the cabins. While much of the resort is newer, Madden's belongs to Historic Hotels of America with 30 vintage rooms in its 1929 hotel, along with 10 historic rooms in Madden Lodge near the waterfront. It's a nice option for a truly old-fashioned experience. There are several cabins for families who want their own space away from other guests, but they book early -- especially older ones that were built on the lakefront before building codes required setbacks from the water. 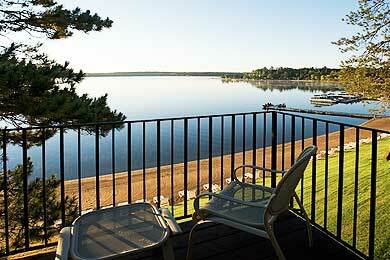 Families craving a reunion destination have plenty of options in the Brainerd Lakes area. Madden's has some larger units as well, including the Strawberry Hill Reunion House, which sleeps up to 16 people. Stayed here for a work retreat. It is a beautiful resort that is focused on customer service. the room was huge with a great view of the lake. There is so much to do here I can’t wait to come back in the summer with family. I've been coming to Madden's for over 20+ years and every year I look forward to my family trip. What I love most about this place is the setting and the welcoming atmosphere. This is where you want to experience the best of Minnesota summers. I stayed in the Inn which is my favorite place to stay. I love the history and the memories that it holds for me. All of the rooms have a little bit of a different layout. I personally don't prefer one over another, they all are very comfortable to me. At the Inn the sitting room and the cedar walls bring back all of the fun times and memories that I have at this place. Don't ever change that. While Madden's is making a ton of updates they have seem to preserve the magic of the place while making it even better. I love the new foam by the outdoor pool, it makes it more safe for all the little ones running around. Plus, the addition of being able to eat outside on the deck at night. I am hoping to make it up at least one more time this year! 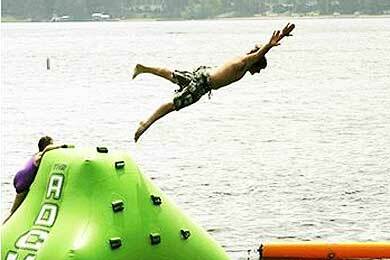 Because Madden's is a seasonal resort, most activities are geared toward the warm season -- especially the peak of summer when Gull Lake bustles with vacationers. It's all about blue water and manicured greens, whether those greens are golf courses or the outdoor recreation center in the heart of Madden's peninsula. Parents wanting to hit the golf course for some alone time can sign up kids ages 4 to 12 for Adventure Cove, which runs 8:30 a.m. to 4 p.m. Monday through Saturday July to mid-August. Activities may include beach games, trail rides and visits to a water park. Adventure Cove is based in the middle of the resort near the Recreation Center. Madden's has 63 golf holes throughout the resort, including its original course from 1929 and the Social Nine, a short course that's ideal for junior golfers or beginners. The signature course, The Classic, was built in the late 1990s during Minnesota's golf boom. It's considered one of the best in the state with a 60-foot elevation change, postage-stamp bentgrass greens, 56 sand bunkers and water near most holes, as well as rolling, wooded scenery with views of Gull Lake's Steamboat Bay. There are five sets of tees on the Classic, which let a player start at 4,880 yards or 7,100 yards from the hole. Early- or late-season golfers can use the heated, covered practice range by the East Gull Lake Airport. Kids may get a kick out of the old-school activities at Madden's Recreation Center. The closely cropped lawn even meets competitive regulations for croquet while also taking bocce ball to a new level with lawn-bowling greens. Look for lawn-bowling demonstrations at 11 a.m. each day and croquet clinics at 1 p.m. The center includes five tennis courts, a basketball court, a badminton court, shuffleboard, horseshoe pits and a sand volleyball pit. Indoor and outdoor seating, refreshments, and the Parfecto Pizza and Sub Shop are on site. Because the resort is so spread out, there are five pools on the property. Three are indoors at Wilson Bay, Madden Lodge and at the hotel. Two more are outdoors. 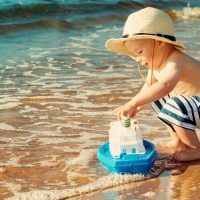 Most of the action on hot days can be found at the three beaches where kids -- especially 'tweens and teens -- fly high for big splashes off the trampolines and water toys. Resort instructors also offer daily lessons in water-skiing, slalom skiing, wakeboarding, wakesurfing and barefooting. Try paddling with kayaks, paddlebikes, paddleboats, stand-up paddleboards and canoes. There also are sailboats, fishing boats and pontoons to rent. Mountain bikes can be rented by the day or tandem bikes by the hour. You can also bring your own bicycles and hop on the East Gull Lake Trail, which was finished in 2010. The trail takes visitors on a paved 11-mile ride that runs alongside Madden's and Cragun's resorts and heads to the Gull Lake Dam Recreation Area. The paved Paul Bunyan Trail runs north from the Brainerd Lakes area for more than 70 miles. The resort has bait and tackle if you want to fish for sunfish and crappies off the dock or head onto the lake for a more prized catch: a walleye. Guide services are offered through Walleye Dan, an area outfitter. Head to Mission Point for nightly bonfires and all the fixings for roasting marshmallows and building S'mores. Additional activities and excursions include horseback rides, tours of a Black Angus farm, trap shooting, Friday night pizza parties and even sea plane certification. Lake views, warm colors and fragrant services make Spalon Montage one of the area's best spas for massages for moms (and dads). A sampling of services include facial treatments, moms-to-be massages, rosemary-mint body wraps, manicures and pedicures, and 20-minute manicures/pedicures for kids 12 and under. If you're itching to explore the area beyond the resort, some of the top destinations include Paul Bunyan Land, with its nostalgic amusement park rides, candy shop and a historic village packed with antiques; boutique shopping in Nisswa; shopping at Rebecca's where girls will love their girly accessories, giant cutouts of pop stars and intricate dollhouses; taking in a treat at the kid-favorite The Chocolate Ox, offering nostalgic sweets, ice cream and sodas. Brainerd International Raceway rumbles to action throughout the summer with motorcycle and car racing. 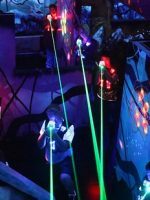 Kids can learn about pirate history while mini-golfing among caves, waterfalls and even a pirate ship at Pirate's Cove; it's next to Billy Bones Raceway with go-carts. 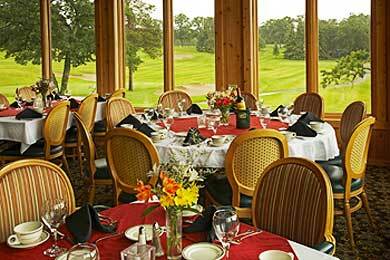 Boasting one of Brainerd area's most scenic dining locations with water on three sides, Madden's Lodge on Steamboat Bay's historic Mission Point is understandably popular; make reservations early. There are seven entrees each night (including one that's vegetarian) that may include braised chicken tacos, local chicken with orange barbecue sauce, mango shrimp, Asian-style ribs and bean and couscous salad. The restaurant at the golf course includes chicken wings with sweet, hot pineapple sauce, Portobello crostinis, coconut shrimp, pork rib chops with apple chutney, pan-fried walleye with hazelnut crust, chicken curry salad, burgers and a daily risotto. Open 11 a.m. to 9 p.m.
You can reserve at spot at the traditional Friday night walleye fish fry or choose from entrees such as a sunfish sandwich, top sirloin, pan-seared salmon with heirloom tomato Bruschetta, beef Brochettes and vegetarian Paella. Appetizers include walleye cakes with dill and aioli. There are kids meals, too, such as spaghetti and macaroni-and-cheese. Located in the Recreation Center, ParFecto Pizza easily reigns as a family favorite. It's close to the Adventure Cove kids' program and there's a deck overlooking the lawn-bowling greens. Pizza choices include Bleu buffalo chicken, Asian pizza, mixed mushrooms with truffle oil, and plenty of classic meat and cheese variations. For a sugary finish, there's a dessert pizza with marshmallows, crushed cookies, raspberry preserves, walnuts and drizzled chocolate. Open 11 a.m. to midnight in peak season. Open 7 a.m. to 2 p.m. for breakfast and lunch, the morning specialties include a southwestern eggs Benedict with chorizo and chipotle hollandaise sauce, French toast with fresh bananas and caramel sauce, apple or raspberry fritter bread with frosting and a grilled BLT with eggs and cheese. Every kid will find their way here for 24 flavors of ice cream (try "monster cookie"), fudge, candy and temptations such as stuffed animals. It's a good place to blow an allowance. Chrissy's is also connected to Madden Brothers Market with grab-and-go foods, snacks, a coffee bar and beverages. A three-tier system of reservations lets guests pick a lodge-only plan or two levels of inclusive packages. It's best to call the resort or chat online with a real person who will walk you through the best rate and lodging fit for your family. You'll also want to book early if you're visiting during peak times: July and early August. 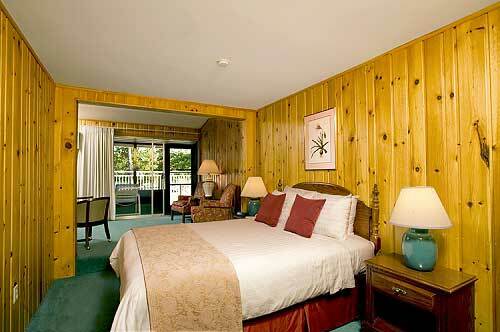 The most affordable rooms start at $159 per night for lodging only during peak weeks. Check online for specials that wrap together spa treatments, golfing or special events. There are occasionally last-minute openings as well, especially if your travel dates are flexible or you can travel mid-week. With so many activities going on each day, you'll get the most value out of your trip by paying attention to what's available and when. It's also good for the family budget if you collectively decide which activities you want to do most, whether it's water-skiing, trap shooting, horseback riding or guided fishing lessons. Don't miss a classic Madden's photo: kids (or adults) in a giant Adirondack chair near the ice cream parlor and market. Pack 'n Plays rent for $25 per night, so it's worth packing your own if you are staying for multiple nights. Make reservations, such as dining at Madden's Lodge or massage appointments at Spalon Montage, when booking lodging. There is a 15 percent resort fee with reservations, along with state lodging taxes. Families who want to stick together and don't need the Adventure Cove (which kicks in later) can find discounted rates early to mid-June. Rates also drop in late August. Spring and fall are even cheaper if you want to enjoy early fishing or golf, fall colors and relaxing with lake views and indoor pools. The biggest event of the season? Hands-down, Fourth of July. The holiday includes a week of activities such as a barbecue and beach party, a welcome reception, a naturalist program, a parade and fireworks. Other special events include an annual Parent Child Golf Tournament over Memorial Day weekend as well as Father's Day or Labor Day weekend celebrations offering the Adventure Cove children's program. There's also a school break weekend the third week each October, featuring pumpkin carving, a costume party, trick-or-treating and children's programs. 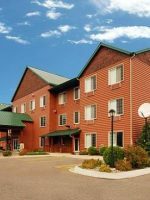 A word of warning: lodging rates skyrocket throughout the Brainerd area during Lucas Oil Nationals at Brainerd International Raceway, usually the third weekend in August. It takes 2.5 hours to drive from Minneapolis to Brainerd. Follow Interstate 94 to Clearwater, exit at Minnesota Highway 24 and follow it to U.S. Highway 10. Follow Highway 10 toward Little Falls, staying right when it branches off to Highway 371. Follow north of Brainerd, then turn left on County Road 77, which winds around Gull Lake to the resort at 11266 Pine Beach Peninsula, Brainerd%2C Minnesota. There are also connecting flights from Minneapolis-St. Paul International Airport to Brainerd Lakes Regional Airport. Madden's offers a shuttle to and from the Brainerd airport. Rent a boat, try a paddleboard or fishing lesson, schedule a couples' massage or head to the The Classic golf course for some playful time together. You can also head into Nisswa for some grown-up boutique shopping or biking along the Paul Bunyan State Trail.